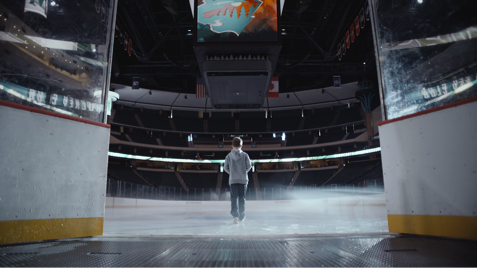 ICF Olson recently partnered with NHL team, the Minnesota Wild, to create a heartwarming and unique campaign for their upcoming season, aimed at bringing together their diehard fans, engaging new fans, and overall, creating a stronger sense of community. ICF Olson understood that in order to do this, they needed to find a shared passion amongst all Minnesotans, and leverage this commonality to strengthen their connection and loyalty to the Minnesota Wild team. The result was “This Is Our Ice” – a campaign that went beyond marketing and built an entirely new tradition: inviting people from all over the state to bring their own water – whether from a local lake, pond or stream – to create the new ice surface at the Xcel Energy Center for the Minnesota Wild players to play on throughout the season. ICF Olson understood that Minnesotans, coming from the land of 10,000 lakes, truly revere the state’s water and this new tradition would honor those lakes, ponds and rivers, while providing fans with a unique opportunity to feel as if they were contributing directly to their favorite sports team. You can view their promo video below, which were all shot and edited by ICF Olson. The campaign ran across broadcast TV, pre-roll, paid social, display banners, in-arena, arena OOH and PR.